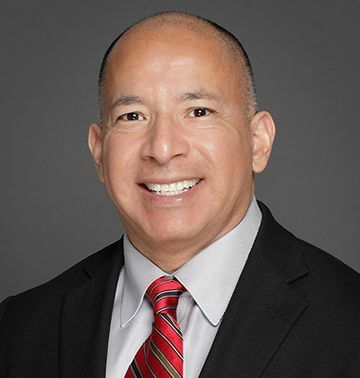 Manny Santa Cruz, D.N.P., R.N., M.B.A., NE-BC, assistant dean and assistant professor at the Gayle Greve Hunt School of Nursing (GGHSON), has been selected to become a member of the Texas Higher Education Coordinating Board (THECB)’s Nursing Field of Study (FOS) Advisory Committee. Dr. Santa Cruz has extensive content knowledge in nursing learning outcomes and was instrumental in developing the school’s R.N.-B.S.N. track. Since the early 2000s, THECB has used advisory committees to develop a range of field of study curricula (FOSC). Currently, THECB has nine FOSCs. The committee is comprised of 24 faculty and administrators from community colleges and public institutions across Texas. Members are nominated by their peers and accepted based on their expertise and understanding of the specific task at hand. Born and raised in El Paso, Dr. Santa Cruz served in various hospital administrator positions before becoming assistant dean at the GGHSON. He helps to mentor young Hispanic students pursuing higher education and is associated with numerous organizations, such as the Sigma Theta Tau International Honor Society of Nursing, the American Nurses Credentialing Center’s Nurse Executive Certification Board, the Texas Organization of Nurse Executives, the American and the Texas Nurses Associations, and the National Association of Hispanic Nurses.